How simple can a hard problem be? One might wonder, what makes this question so hard to answer. After all, reflection rules are taught in middle school physics, why is it hard to to figure out the shape on which this rule should be applied to? In fact, there are simple abstract models, where equations for a mirror are derived from those rules, but those models are quite far from most applications, and even then, having equation does not guarantee to have a good way of solving it. For example, two simplest and relatively well studied models are “Collimated source” and “Point-source”. The Collimated source model assumes that all light rays are parallel and hit the mirror from the same direction (it tries to mimic sun light, but disregards all the refraction happening in atmosphere, so in practice it is good only for some high-tech lasers). The Point-source model assumes that all light comes from same point (it is a bit closer to realsituations, think about a flash-light, but with really, really small lightbulb). As most mathematical equations, this one looks scary for someone who does not understand what it means, but it is a rare exception in the sense that this equation looks even scarier for those who understand: It is a fully non-linear Monge-Ampere type partial differential equation. For those who don’t know: it means that all classical ways of solving PDEs fail miserably for this one. This theory has found its way through both fundamental and applied mathematics, physics, natural sciences, economics and technology, providing new developments as well as refreshed views on existing subjects. For above-mentioned optics problems, it provided a new description of same models, which gave them access to all the fruits of Optimal Transport theory, including robust tools for finding solutions. But even then, there are still lots of simple questions in that small part of optics, that are left open even after using Optimal Transport. For example, what if the light source is not a point, but something bigger? What if there is more then one mirror? So maybe, we should also be asking: How hard can a simple problem be? 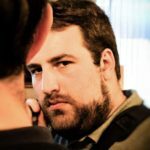 Giorgi Rukhaia is an early-stage researcher (ESR3) in the ROMSOC project. He is affiliated with the Institut national de recherche en informatique et en automatique (INRIA) in Paris, France and working in collaboration with Signify (former Philips Lighting), the Netherlands. In his research project he is working on an Optimal Transportation computational approach and the development of numerical algorithms for the inverse free-form optical surfaces design using extended sources. Sound is a physical phenomenon of much prominence in human life considering each of us has a pair of dedicated sensors (ears) to perceiving it. Be it in communication, in music, structural design – the knowledge of how sound works is of extreme relevance. Acoustics, the science of sound evolved as one of the most interdisciplinary fields drawing inputs from various disciplines like music, architecture, engineering, biology and medicine etc. As such, while having no dearth of literature in the topic, it can be hard to find ground amidst all the perspectives out there. In this article, I focus on my perspectives on the origins of acoustics and its relevance in my project. As for the outcome, I hope to communicate the motivation of my project – to develop better acoustic models enabling more accurate measurements of sound. The origin of sound is identified to be perturbations in pressure and this is physically caused bydifferent processes – due to vibrating bodies, rapid change in fluid flow, pulsating thermal sources, shocks etc. The theory of sound began as study of vibrations in acoustic instruments and gradually integrated the principles from the theory of mechanics and waves in the 17-18th century. The 19th century made significant leaps in the development of acoustic theory, establishing the mathematics of acoustics – of particular mention, “Theory of Sound”, the classical two-volume treatise by Lord Rayleigh. The theory has since, branched and developed into various disciplines viz. architectural acoustics, aeroacoustics, thermoacoustics, psychoacoustics among others. The 20th century with the development of Modern Physics and improved engineering has improved our understanding andability to control the acoustics. 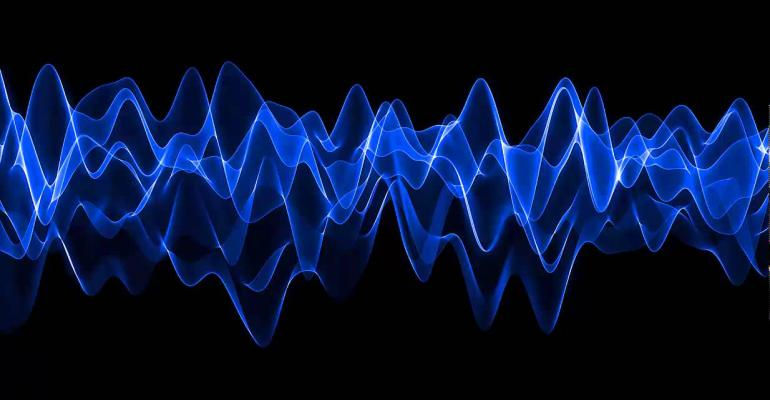 Let us take deep dive into the process of sound wave transmission. Sounds, being physical perturbations, cannot travel in vacuum and needs a medium to be transmitted. The transmission process is different depending on the nature of the medium i.e. a rigid solid or fluid – characterized by their inter-molecular spacing and structure. Sound transmission are also dependent on thermodynamic properties of the media like pressure (for fluids), density, temperature and also on their elastic properties characterizing their ability to resist perturbations. Furthermore, any phenomenon which alters the above properties need to be considered. Besides these stereotypical classifications of the media, special materials like semi-solids, porous media etc., need distinct considerations. With recent regulations legislating stricter noise levels – in domestic and work environments, even automobiles and jet engines – there is a need for better acoustic instruments. Recent advances in our understanding of acoustics and engineering, have enabled very precise measurements of sound. The sound sensors have evolved over time and are based on different physical principles – piezoelectric, electromagnetic, mechanical and thermal effects that vary with perturbations in the medium. We focus our attention on a specific kind – the Microflown® sensor which works on the variation in temperature due to the perturbations in fluid medium. The sensor has two closely placed hot platinum wires which are cooled down differently in presence of acoustic vibrations and this changes their electrical properties – which can be measured. 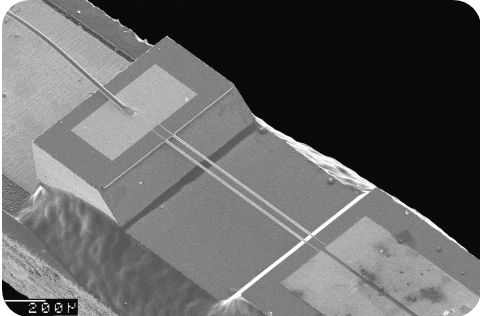 It stands apart from other sensors for its incredibly small size(~100μm) and being able to measure velocity perturbations due to sound, rather than the pressure. One of the limitations of the sensor is its sensitivity to wind-speed. It is worthwhile to investigate if a right porous enclosure can help reduce the sensor noise in presence of turbulence. Illustration 3: Schematic of sensor placed within porous enclosure in turbulence. To quantify how sound is transmitted through turbulence and a porous material enclosure we need to understand how their presence affect the sound signal. The presence of turbulence in fluids can dynamically alter the thermodynamic properties of the fluid. The strength of turbulence decides the turbulent structures in the fluid medium and can significantly change the mode of transport of energy within it. 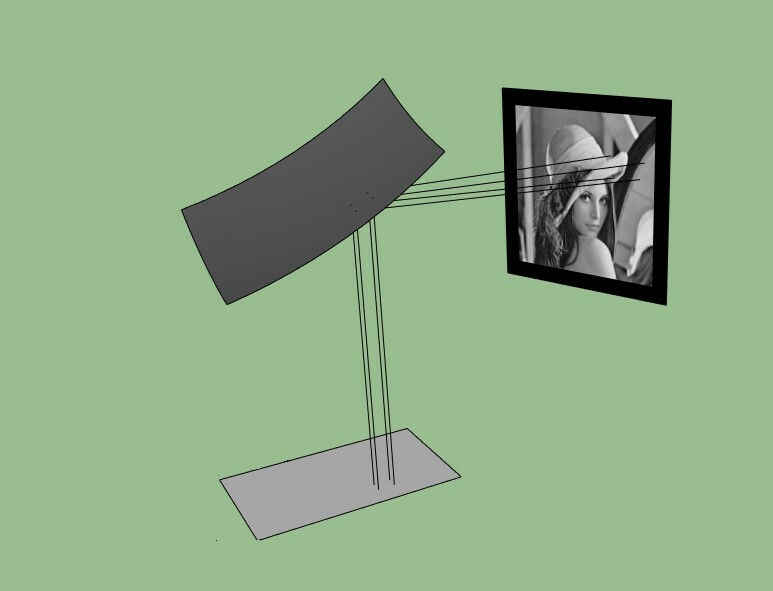 This produces distortions in the transmitted sound – think about talking on a windy day. Porous materials, by virtue of their structure respond differently to sound compared to fluids or solids. They are known for high sound absorption rates and are extensively used to dissipate noise in present-day sound sensors. Their acoustic properties are well-studied and are known to mitigate high frequencies, meanwhile their low densities make them useful for a range of applications. While both turbulence and porous mediums can distort the sound signal, a precise measurement of sound in their presence requires a sensor to dynamically predict the effects of these layers. An investigation into these effects can be done by the three scientific approaches – theory, experimentation and (only recently,) simulation. A simulation approach into these effects requires us to utilize the theory, and quantify them into equations using specific mathematical models. These equations can then be solved by a computer providing us with a digital representative of a physical sensor. This helps designers to play with different parameters and investigate their effects immediately thereby speeding up the process. Since antiquity, mathematical models predicting physical behavior are developed stand-alone. While the Biot-theory specifies acoustic behavior of porous materials, and the famously unsolved Navier-Stokes equations govern fluid flow, it is not immediately clear to string these theories together to enable simulations of a coupled sytem. We will deal more into specifics of such couplings and the mathematical machinery which can help us simulate this coupled phenomenon in the next blog post. Keep following this blog for more. Ashwin Nayak is an early-stage researcher (ESR2) in the Reduced Order Modeling Simulation Optimization and Coupled methods (ROMSOC) project. He is affiliated with the Technological Institute of Industrial Mathematics (ITMATI), Spain and working in collaboration with Microflown Technologies B.V., Netherlands. His research aims to develop coupled mathematical models to enable acoustical measurements in fluid-porous media interactions. A new year has started. Let’s look into the stars! 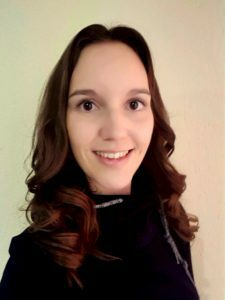 My name is Bernadett Stadler and I studied Industrial Mathematics at the Johannes Kepler University in Linz. Since May last year I am part of the ROMSOC program as a PhD student. I am involved in a cooperation of the university in Linz and the company Microgate in Bolzano. My research addresses the improvement of the image quality of extremely large telescopes. The goal is to enable a sharper view of more distant celestial objects. The European Extremely Large Telescope (ELT) is a revolutionary scientific project for a 39m telescope that will allow to address many exiting unsolved questions about our Universe. Especially, the fundamental question of humanity: Are we alone? 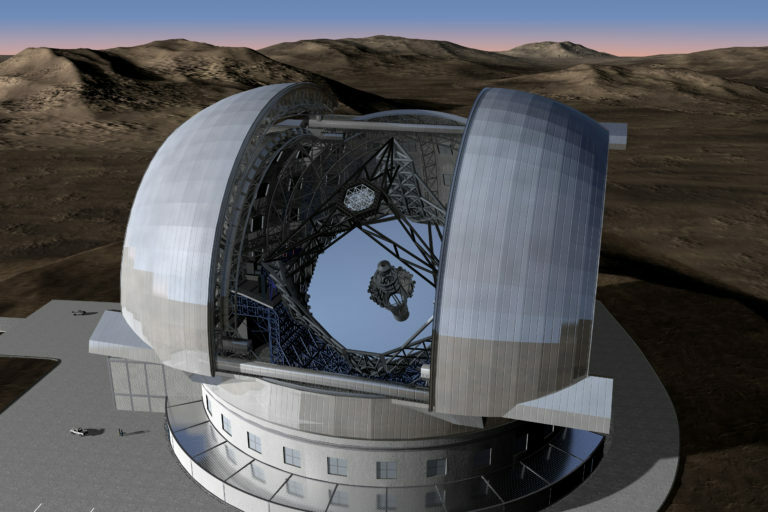 The ELT is currently built by the European Southern Observatory (ESO) in the Atacama Desert in Chile and will be the largest optical/near-infrared telescope in the world. It will extend astrophysical knowledge by enabling studies of planets around other stars, the first galaxies in the Universe, supermassive black holes, and the nature of the Universe’s dark sector. To achieve all these goals, the telescope has to provide a sharp image that is not affected by atmospheric turbulences. That’s where my research topic comes into play. 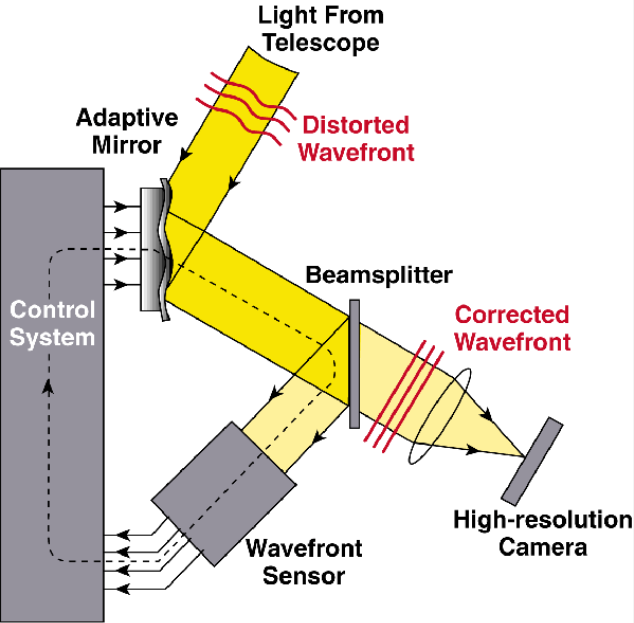 Adaptive Optics (AO) systems correct optical distortions of the wavefront caused by atmospheric turbulences, e.g., wind or temperature differences. For that purpose, the atmosphere needs to be known sufficiently. How can this be handled inside the system? Light from a bright guide star, that can be either a star in the sky or an artificial star generated by a powerful laser beam, is used as a reference. A wavefront sensor indirectly measures the distortions of the wavefront using the light from guide stars. 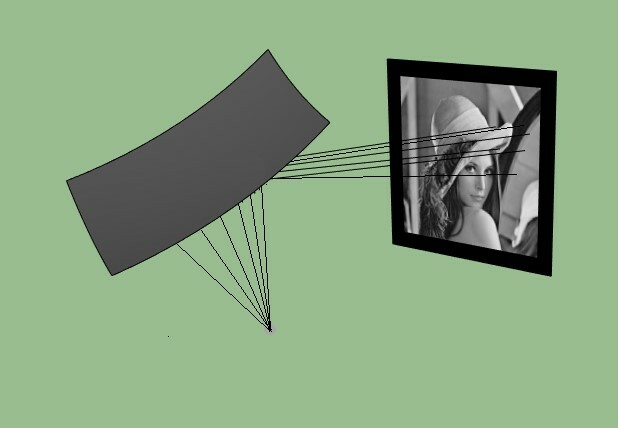 Subsequently, the wavefront is corrected utilizing deformable mirrors to obtain an image with excellent quality. What is needed is a difficult but mathematically very interesting step. How to reconstruct the turbulence profile in the atmosphere and, subsequently, how to deform the mirror such that it corrects the wavefront. At that point, we need to go a little deeper into my research topic. processed in real-time, lead to non-trivial conditions on the algorithms. In my daily work, I am dealing with the development and efficient implementation of such algorithms. I hope that after this brief insight into my research topic you are as excited about the project as I am and equally curious if we can find some aliens with the help of the ELT within the next years. The upcoming Christmas season gives us an opportunity to stop for a moment and reflect about our daily activities, also those within the ROMSOC program. Very often, we find traces of Christmas in the most unexpected places, including our projects. 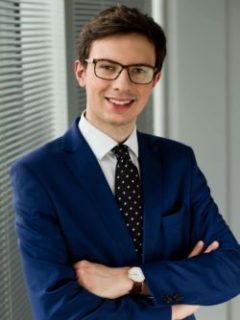 My name is Jonasz Staszek and I am currently working with Friedrich-Alexander-Universität Erlangen-Nürnberg as the ROMSOC ESR7 on a problem related strongly to the railways, in particular to the optimal employment of resources in cross-border rail traffic. In this blog entry, I would like to tell you a little about my project, the method I plan to use and the trace of Christmas in it. 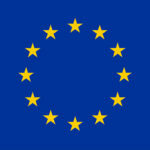 Citizens and residents of the European Union enjoy the right of freedom of movement and economic activity. Our companies also benefit from this while doing business abroad from their home country. In many cases though, both individuals and companies would not be able to benefit from these rights if appropriate technology, allowing mobility of people and goods, was not in place. Numerous historical considerations are the source of various difficulties of railway carriers nowadays. Early on, each enterprise introducing railways chose the technology to suit its needs the best. Later in the 19th and 20th centuries, as railway companies were nationalized, each country made its own bold (and often costly) decisions about standardizing the railway system on its territory. 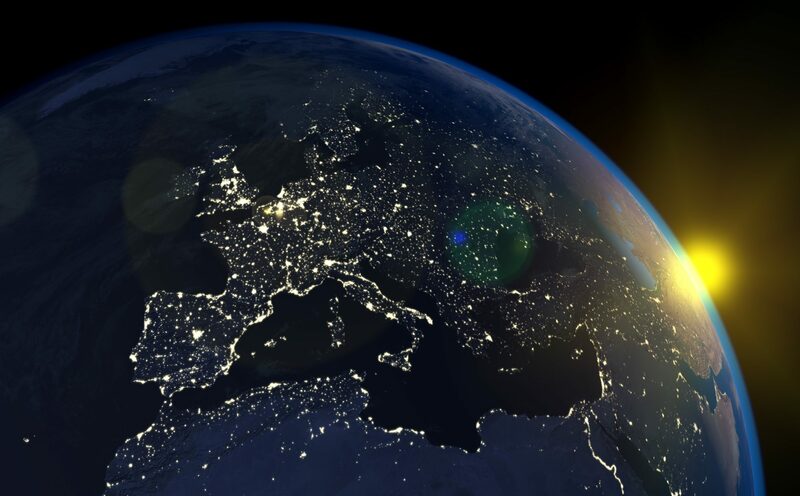 We face the consequences of such historical developments up until today and things are not likely to change in the near future, mainly due to enormous costs of such transformations. For example gauge, or the distance between rails on a track, is standardized nearly everywhere in Europe at 1435 mm, with the exception of Spain, Portugal, Finland and former USSR republics (1520/1524 mm). Another structural difference occurs with regard to power supply for electric locomotives – only in the EU we have five such systems. Yet another example could be drawn from all kinds of varying regulations in each individual state with regard to training and licensing of the drivers, mandatory safety systems installed on the network and in the locos, access to the railway network (e.g. a right to ride a train on a given section of the country’s network), etc. Clearly, too many differences exist for an international railway carrier to be able to manage its resources centrally. Each country, with its specific railway system, usually has its own carrier(s), network manager(s) as well as driver training systems and safety regulations. Hence, international carriers usually have a separate entity to manage rail traffic on the territory of each respective country. Consequently, the decisions on the deployment of resources on certain trains are made in a dispersed fashion – by far and large each entity takes them on its own within the area of its responsibility. This could lead to a suboptimal use of the existing assets. In my research, I intend to tackle exactly this problem – given the set of trains from point A to point B (not necessarily in the same country) ordered by the customers of a railway carrier and the existing resource base (locos and drivers), find the optimal (e.g. minimizing costs or maximizing utilization) attribution of assets to the connections to be carried out. As the Christmas season is already very close, let me illustrate the way I intend to approach this problem with the use of a nice puzzle developed by my colleagues at FAU Erlangen-Nürnberg – please click here for the interactive version. 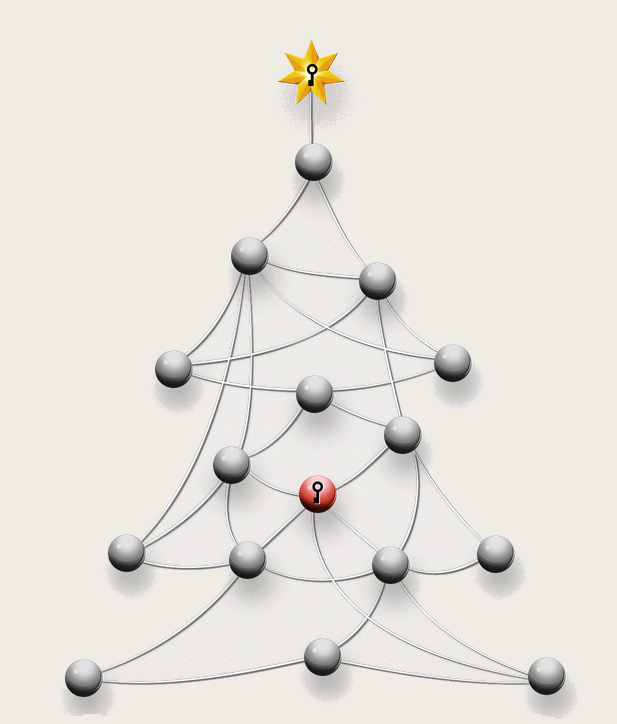 This is a puzzle used in a competition organized by my chair every Christmas – for each correct solution a certain amount of money is transferred to a good cause. To draw a connection between the Christmas tree and the resource allocation problem, we could think of the colours as the trains which need to run, the nodes as the resources and the edges as conflicts which prohibit the employment of a pair of resources on a given train (e.g. a driver not licensed for a given loco, a loco unable to operate on a given section of the network, etc.). Such model formulations are frequently seen in the optimization of problems related to railways , , , . They have primarily been used for train scheduling problems, e.g. helping dispatchers select the order in which trains should use platforms in a station. It is also popular as a modelling and optimization structure in other areas – it becomes increasingly useful as a method of optimizing the use of LTE transmission frequencies  . After this small glimpse into my research, I wish you a blessed Christmas time this year, full of Lebkuchen (gingerbread) and Glühwein (mulled wine)! Lusby, Richard M., et al. “Railway Track Allocation: Models and Methods.” OR Spectrum, vol. 33, no. 4, 2009, pp. 843–883., doi:10.1007/s00291-009-0189-0. Cardillo, Dorotea De Luca, and Nicola Mione. “k L-List λ Colouring of Graphs.” European Journal of Operational Research, vol. 106, no. 1, 1998, pp. 160–164., doi:10.1016/s0377-2217(98)00299-9. Billionnet, Alain. “Using Integer Programming to Solve the Train-Platforming Problem.” Transportation Science, vol. 37, no. 2, 2003, pp. 213–222., doi:10.1287/trsc.37.2.213.15250. Cornelsen, Sabine, and Gabriele Di Stefano. “Track Assignment.” Journal of Discrete Algorithms, vol. 5, no. 2, 2007, pp. 250–261., doi:10.1016/j.jda.2006.05.001. Tsolkas, Dimitris, et al. “A Graph-Coloring Secondary Resource Allocation for D2D Communications in LTE Networks.” 2012 IEEE 17th International Workshop on Computer Aided Modeling and Design of Communication Links and Networks (CAMAD), 2012, doi:10.1109/camad.2012.6335378. This project has received funding from the European Union’s Horizon 2020 research and innovation programme under the Marie Skłodowska-Curie Grant Agreement No. 765374. This website reflects the views of the author(s) and does not necessarily reflect the views or policy of the European Commission. The REA cannot be held responsible for any use that may be made of the information this website contains.